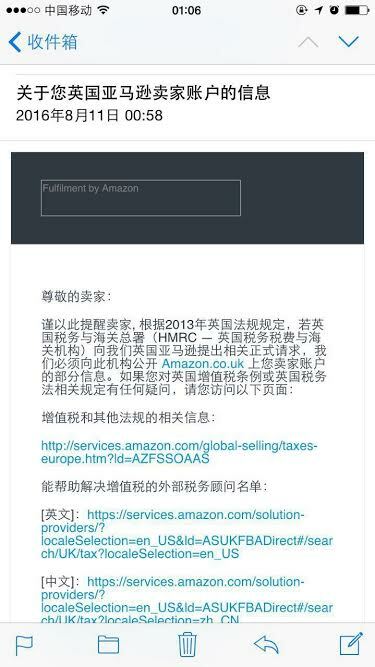 We have received a copy of email sent by Amazon to sellers in China. This was sent on 1 pm on 09.08.2016 local time. And the email says Amazon has passed on sellers details to HMRC and they need to register for VAT immediately. We have reported similar email sent by Amazon sometime ago and this is a second action taken by Amazon. It looks like things are moving forward finally !